Artistic inspiration, such as it is, can come from the most unexpected of places. Case in point, Grammy-nominated one-hit wonder rapper M.I.A. (2007’s “Paper Planes”), who fills many of her songs with references to the violent conflict in Sri Lanka. Her father, Arul Pragasam, founded the Eelam Revolutionary Organization of Students (EROS), a political Tamil group affiliated with — and later absorbed by — the Liberation Tigers of Tamil Eelam (LTTE) in 1990 during the civil war in Sri Lanka. 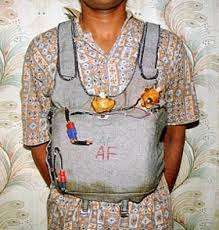 The LTTE would gain worldwide notoriety as the innovators of suicide bombing vests. Born Mathangi Arulpragasam, M.I.A. does not shy away from her Sri Lankan and Tamil roots in her music. In fact, most of her songs and music videos are drenched with her support of the Tamils’ struggle. Some of her music and videos criticized for glorifying violence and terrorism have been so controversial that they have been banned from certain platforms (like MTV) in the United States. YouTube just recently allowed her music video “Born Free” to be posted on its site after years of refusing to do so. The “Born Free” music video is an extended metaphor of the conflict in Sri Lanka in which the American military ops in the video symbolize the Sinhalese government in power and the group of fair-skinned, auburn men being hunted down by the American military represents the Tamils. M.I.A. says she drew inspiration for the (quite gory) video from watching real footage of brutal killings of Tamil people by the Sri Lankan government. Aside from its explicitly violent nature, the video is controversial because M.I.A. depicts the Tamils as innocent victims of a racist military government hell-bent on ethnic cleansing the country, a gross oversimplification to say the least. The roots of the conflict itself date back to the years of British colonialism, when the Crown favored the Tamil minority over the Sinhalese majority, amplifying tensions between the two ethnic communities. When Sri Lanka gained its independence on February 4, 1948, the Sinhalese majority was eager to undo years of discrimination and oppression. The civil war between the Sri Lankan government and the separatist LTTE — which fought for an independent Tamil homeland, or “Eelam” — officially ended in 2009 with the defeat of the Tigers. Sri Lanka became the first Third World country to officially eradicate terrorism from its soil but it has faced, and continues to face, political and social instability with memories of LTTE suicide bombings still relatively fresh in the minds of many. 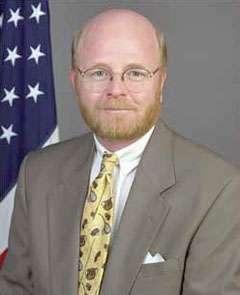 Ashley Wills who served as Ambassador to Sri Lanka from 2000 to 2003 ; he was interviewed by Charles Stuart Kennedy in 2008. Wills tells the story of how jealousy and power between the country’s two rival dynasties undermined the chances for a peaceful settlement between the government and the LTTE. Q: What were the Tamil Tigers and the Tamil movement after? WILLS: They wanted a separate state….They wanted to incorporate the north and the east of Sri Lanka and Tamil-speaking areas of India, which would be highly unpopular…. They wanted to create a Tamil Eelam, a Tamil homeland, an independent state out of Sri Lanka’s north and east. The more radical Tamil thinkers in the LTTE and in the Tamil diaspora internationally wanted to unite all Tamil speakers. (There are Tamil speaking communities in Malaysia and Singapore, but that’s all dreamy stuff.) The real goal is to take Sri Lanka, about a third of it, and make it into an independent state. Nobody internationally, least of all India and the United States, supports this idea; it’s preposterous. It’s a small country to begin with, about the size of the state of Maryland, and to take a third of it and give it to an ethnic group first of all, I mean there are all kinds of reasons why it’s a bad idea but no one has taken it seriously. The tactics used by the Tigers…have been deemed to be terroristic…. It’s never really attacked American interests, but it was a Tiger suicide bomber who blew up Rajiv Gandhi because of that Indian intervention in the ‘80s… So they have attacked international figures but they’ve never really attacked the United States; I mean there have been Americans wounded in bombings that were aimed at other targets. The day after I arrived in Sri Lanka, there was a suicide bomber detected while he was making his way to some target, but no one ever knew what that was, and the police started chasing him. He ran out into the middle of an intersection in a commercial area of Colombo and detonated himself. It so happened that there was a brand new Toyota Land Cruiser sitting at a traffic signal waiting for the green light in that very intersection and in it were three wives of American AID contractors. They were hurt, one of them pretty seriously, although she recovered eventually. When I heard about that, of course, I went to the hospital where they all three were. As I went into the hospital, the cops showed me the vehicle that they had been in which had been carried to the hospital on a flatbed truck. There must have been 200 holes that size where the ball bearings that this bomber had packed into his vest, had gone through the sheet metal of the vehicle and it was a miracle to me that the three of them and their driver hadn’t been killed. The three of them, as I say, were injured and so was the driver but he wasn’t, surprisingly, all that hurt. So there have been Americans injured but no targeting of American interests or of any other foreign interest other than this attack on Rajiv Gandhi, but still it’s a terrorist group and we’ve deplored their tactics while, as I said, having sympathy for their situation, for the Tamil people’s situation. There is no question that since just a few years after Sri Lankan independence, since the early ‘50s say, successive governments of Sri Lanka from then until the ‘80s enacted laws that discriminated against Tamils. The Sinhala people who form the majority of the country and whose interest were favored by these discriminatory laws would be quick to tell you that the reason for this is because in the days of British colonialism (this is so true of the British around the world) they would come in and pick out a favored minority to help them administer a colony. In the case of Sri Lanka, the Tamils were the minority that the British chose. So Tamils were way over represented in the colonial period in the professions, in the civil service, and business. And the Sinhala who were the majority in the country found their language repressed and their culture; so all of these laws since independence, they would say, were putting things right after so many years of their facing discrimination. Of course, our view of that was you don’t make it right by passing mean-spirited laws; you are in this island together. This is the point I’ve tried to make to the Tamils when I would try to speak privately or in public. Not only is there no Tamil Eelam in this country, there is no part of this country that should be reserved for any particular ethnic group; the whole island is a mix. There are more ethnic groups and not just those two groups. There is a big Muslim population, for example, and smaller populations of other ethnic groups. So to divide up a country ethnically is as mistaken as dividing it along other grounds…. Sri Lanka… was a fabulously beautiful country. But when I got there it looked like Havana, although I’ve never been to Havana, it looked like what I imagine Havana to look like in that there were security check points every couple of hundred yards on every major road. This was because of the civil conflict going on between the government and the Liberation Tigers of Tamil Eelam (LTTE), which had used as a tactic, in fact it developed the tactic, of suicide bombing with a vest that people would wear under their loose-fitting South Asian clothing. They would walk up to the target and blow themselves up so…. There had been quite a rash of bombings just before I got to post. So it really looked grim despite being a tropical paradise. People would walk around with their shoulders sloped down and their heads down almost as if they were expecting a sudden blow; it was really depressing…. So I decided that we would be somewhat more aggressive than ever before in promoting a peaceful end of the conflict. While we would continue to condemn the LTTE, which had been put on our terrorism list just a couple of years earlier, we would show a lot of sympathy for the Tamil people who were suffering and who had been discriminated against for decades but also show support for the government to the extent it was trying to do the right thing. I was helped by a couple of things. One was the arrival — at about the same time — of an Indian High Commissioner to Sri Lanka, the Indian Ambassador to Sri Lanka who was an old friend of mine from Delhi days. 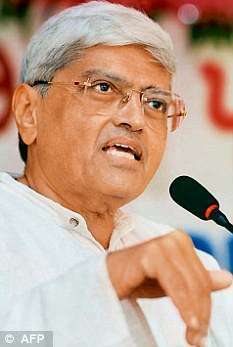 His name was Gopal Gandhi, he was the grandson of the Mahatma Gandhi…. That was pivotal because the Indians had never wanted any outside power to have a role in bringing about peace in any South Asian country; this was their area, they had their own sort of Monroe Doctrine where South Asia was concerned. But I knew that if I worked with Gopal Gandhi (at right; photo: AFP) I could perhaps venture a little farther out than had been possible in the past….I had talked with Rajiv Gandhi, who was then Prime Minister of India [from 1984-89] and with the other major figures in the Foreign Ministry and in the military. I quickly learned that the Sri Lankan situation was a very sore subject for the Indians and a divisive topic but that many Indian officials were not sympathetic with the Tigers, even leading figures in Tamil Nadu in the south…. They didn’t want to have anything to do with it anymore because of that incursion in the 80’s had been so unsuccessful and led to the deaths of, I think about, 1,500 Indian troops. So I knew that the Indians wouldn’t be making major commitments, but they could screw up any efforts that we wanted to make. So I wanted to keep them well briefed so they would let us have some leeway. The other key development was that the Norwegians had an excellent ambassador [Jon Westborg, later] the Norwegian Ambassador to India…. I made lots of speeches. I mean an American ambassador in a country like that can make himself into a rock star pretty quickly because everybody knows that we are the alpha male; we are the silverback gorilla internationally, so they want to know what we think. One has to be careful, obviously we are diplomats — we can’t be agitators. But one can use speeches, the media… and make points that get attention. I was able to do that and Jon was able to move diplomatically between the LTTE and the government of Sri Lanka. We, of course, could not have any contact with the LTTE. But I communicated with them publicly through speeches and press interviews…. Eventually the forces lined up right. There are a couple of things that I should mention. Sri Lanka has a very unusual political set-up. It is very much like the French one in that there is a prime minister and a president and they are not necessarily from the same party. When I got there they were. 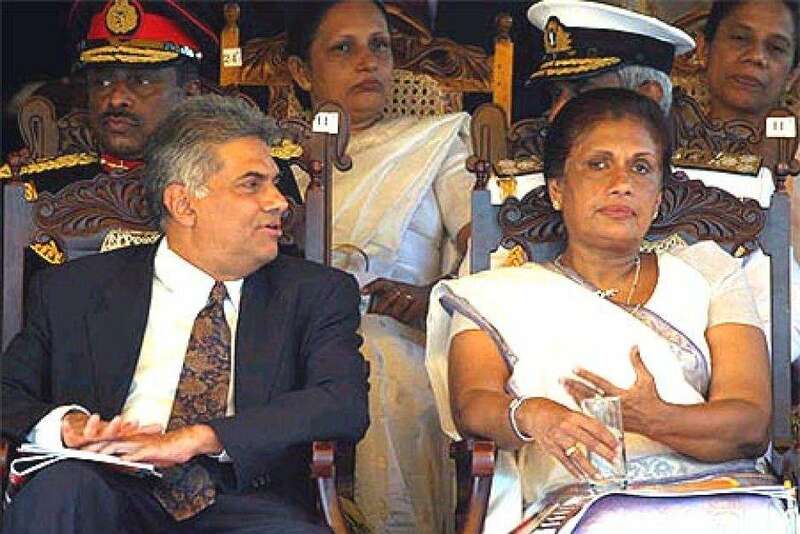 The President was a woman named Chandrika Bandaranaike Kumaratunga (at photo); she was herself the daughter of two former Prime Ministers of Sri Lanka. She had almost been killed by one of these suicide bombers just a few months before I got there and lost an eye, in fact. She was the heir to a distinguished dynastic political family. 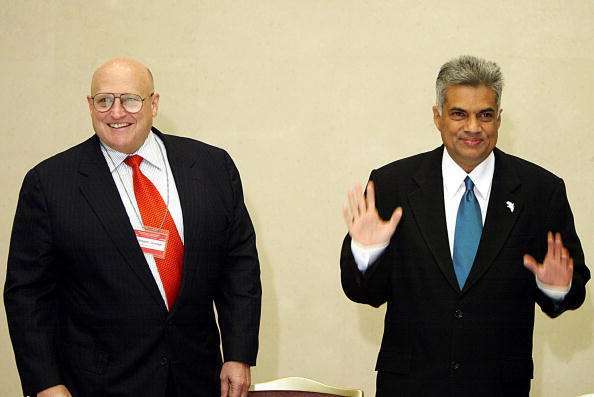 Her adversary, the leader of the opposition, was a guy by the name of Ranil Wickremesinghe, who was also the heir of another dynastic political family (also in photo). They had been rivals for decades…. He was willing to say things that lined up pretty much with what the Norwegians and we and others who cared about Sri Lanka from outside wanted to be said. He said he was for negotiations, not a war…. He wanted to open [Sri Lanka] up to free-market ideas. So we were drawn to him and he to us, and lo and behold, he moved a vote of no confidence in Parliament against the Prime Minister who was from President Kumaratunga’s party. There was an election and he won, so he became Prime Minister, formed a government and he and the President were at odds from the start. But he persevered and used the Norwegians and the Indians and us to communicate his intentions to the LTTE, and through a long series of negotiations (very quiet negotiations) a cease-fire was arranged—the first ever in this civil war. Simultaneously, he was moving to privatize a lot of government services and open up the economy. 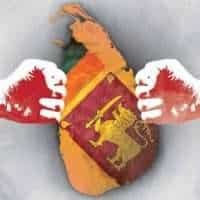 There was a transformation in Sri Lanka. What I had found when I got there was an armed encampment and one saw literally, and figuratively as well, the lifting of all these security barriers; they were moved away and the city opened up. Commerce began to thrive again and there was a lot of construction; touristic infrastructure was being built; the country’s exports were booming— things just began to look much better for Sri Lanka. 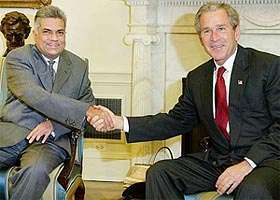 The LTTE and the government of Sri Lanka under Ranil, brokered by the Norwegians out front and us behind the scenes, began to negotiate some sort of outcome to the civil war. Meanwhile, President Kumaratunga, a very virtuous person in many ways — I liked her very much — … was jealous that he was getting all this credit internationally. Another development that I should mention here is we had an election in this country and [incoming Secretary of State] Colin Powell and [Deputy Secretary] Rich Armitage took over the State Department and whereas… the previous administration focused on India, and to a lesser extent Pakistan, these two gentlemen… were drawn to the situation in Sri Lanka. They admired what the government was trying to do; they liked our reporting. I had an excellent staff of people who were deeply involved in this effort…. We talked through what is it we were going to try and do here in this country. How are we going to make American diplomacy relevant here? Washington is giving us leeway for whatever reason and so let’s use it to be imaginative. We set some of these goals mainly dealing with helping bring about a cease-fire and the end of the war but also we had a lot of economic goals and public affairs goals. We had a small USAID [U.S. Agency for International Development] mission; I was told when I was getting ready to come to Sri Lanka that it was going to close down, the small mission there, and I said, “That’s not going to happen, we are going to expand our aid there.” And indeed we did. AID was impressed with what we were trying to do so they sent in a very dynamic woman to be the AID director and gave her three or four times the budget that the previous AID director had had. So it was a time of a growing mission, a very happy mission I believe and a very productive one, but there were things that got in our way. The rivalry between the President and the Prime Minister was the major obstacle. He couldn’t stand briefing her on what he was doing with the LTTE through the Norwegians. He couldn’t bring himself to brief her; she couldn’t bring herself to let it happen even though she herself supported what he was doing or believed in the same goals that he did. That he, this rival, was pulling this off after she had failed to do it made her really upset. She was working to undermine him and in the end shortly after I left in 2003 she did a deal with the devil. 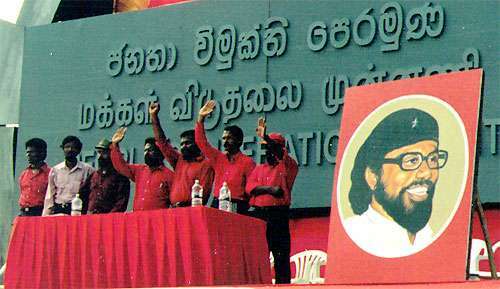 Without going into a lot of detail about Sri Lankan politics, there was a party called the Janatha Vimukthi Peramuna (JVP) that was made up of Sinhalese nationalists… left-wing nationalist. These guys were Maoists more or less but tremendously nationalistic, tremendously hostile to the Tamils and trouble-makers and not people of vision. I remember once that I was on a TV program, a debate with one of the leaders of this party [the JVP], and he spent the whole hour of the show attacking me and the United States for our various sins internationally. I was my diplomatic self and responded as calmly as I could to his outrageous charges. Well, Kumaratunga — who was by nature a tolerant, completely unbigoted person — was so jealous of the Prime Minister that a few months after I left she went into an alliance with this racist, left-wing, racist party, and moved a vote of no confidence in Parliament and, by the way, this happened while Ranil was in the United States meeting with President Bush for the second time. I’d arranged the first meeting while I was Ambassador, my successor arranged the second meeting. I was at this point already at USTR [United States Trade Representative] and we were beginning to think about doing a Free Trade Agreement, the first one with any South Asian nation, with Sri Lanka which was reforming in all these important ways politically and economically. So he was getting all this international press. While he was in the White House, not quite literally I think, he was at his hotel here in Washington, she moved a no-confidence vote and there was an election and because of this alliance she had she and this JVP party won and the peace effort, such as it was — it had already started to falter a bit for other reasons — was dead. What has happened since then, that was in 2004 I guess, the whole country has returned to war and fighting and it’s a very unhappy situation. But there for a while from 2001 until late 2003 things began to look up in Sri Lanka…. Through this unfortunate series of developments, it’s all been reversed and I’m left to wonder whether what I really did mattered…. 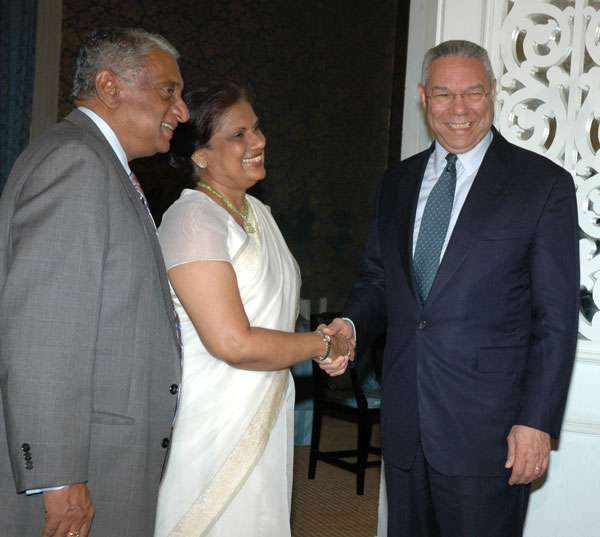 Q: Well here you are the American ambassador meddling in Sri Lankan affairs…. How did you get away with it? WILLS: Because of our stature internationally, both sides wanted our approval, both sides wanted the conflict, in a way, to be internationalized—not in a military sense but in a moral sense and a political sense. They wanted the international community’s approval for their views…. In Sri Lanka, there were only two [ambassadors] who were seen to be pivotal figures in the country’s public discourse: the Indian High Commissioner and the American ambassador. Even the British High Commissioner didn’t have anything close to that status. So because of our record on human rights, because of our support for human rights, because we had tried to mediate on so many other disputes around the world, they gave us a hearing that they wouldn’t give a lot of people. Now mind you, Sri Lanka was a free society; they had free press and there were many Sri Lankan commentators who didn’t like what I was doing and said so. But for the most part we were given a lot of leeway…. I was using John as the Norwegian Ambassador to communicate; I never sent a message directly to the Tigers. They sent a few to me through interlocutors, but I was able to get my message such as it was to them through public means. I went up one time and gave a major speech in Jaffna — right in the middle of their territory — and the whole speech was aimed at the LTTE, but it was a speech—not a diplomatic message. Q: Was anybody telling you from Washington to cool it? They were looking for a success story where they could show the world that it is possible to reach an accommodation without military conflict. I think they were hoping that Sri Lanka could be an example for India and Pakistan, for example, or for Nepal, which had its own civil conflict at the time to say nothing of other countries around the world…. Our national interests in Sri Lanka are minimal; we have no commercial interests really. I mean we have some interest, and I’m happy to say we increased our exports quite a lot; we devoted quite a lot of attention to that. We have a humanitarian interest in seeing the end of the conflict. We have a political interest in seeing a democracy strengthen, solidify, made broader but nothing really — I mean no vital U.S. interest. So why pay attention to Sri Lanka? Because of what it might symbolize for a world filled with ethnic conflict and… for a while, we had hopes running high. Deputy Secretary Armitage took part in a multilateral donors group that we created to transfer tremendous amounts of aid to Sri Lanka if the peace could be sustained — if this ceasefire could be sustained. I mean he devoted, bless his heart, and he and I didn’t necessarily get along all that well but he saluted what we were trying to do and I, of course, saluted him for taking an interest and he really did. He must have devoted more time and attention to Sri Lanka per capita, than any other issue he was dealing with in the State Department; it was amazing. Then it all came unstuck, as I say, in early 2004. He was dispirited as were the rest of us. I feel a deep sense of disappointment about what happened. But let me make one other observation here. I mentioned earlier that President Kumaratunga aligned herself with these left-wing racists for political gain and to insure Ranil Wickremesinghe’s political loss. But there were other things that were working against him and the ceasefire. The LTTE in these talks proved to be obstinate and really not negotiable. 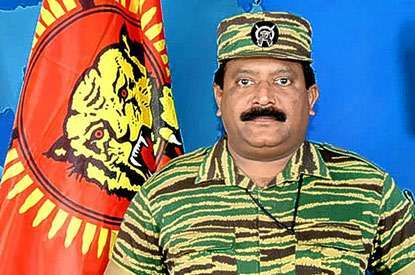 The leader, a guy named Prabhakaran, gave the impression that he would forsake the idea of an independent Tamil Eelam if he got very substantial autonomy over the region that he wanted to control. Well, that would have been a delicate negotiation in the best of circumstances. In these circumstances Wickremesinghe, who was facing all this chatter from his opposition down south, really couldn’t cede to Prabhakaran (at left) so much autonomy. He wanted to be clear that this region was still part of Sri Lanka and that it wouldn’t have its own military and it wouldn’t have its own currency. It could have its own courts and many other instruments of power. There was no question that Wickremesinghe was prepared to give the Tamils a great deal of autonomy, but Prabhakaran wanted more. So the talks were really faltering by the time that I left. It was, I think, mainly a reflection of the political instability in the south between these rival groups and Prabhakaran’s intransigence. So there were other reasons why things fell apart than just the jealousy that President Kumaratunga felt.